The best credit cards for graduates have low annual fees and offer high approval odds to young, relatively inexperienced applicants. Credit cards for recent grads also report account information to the major credit bureaus each month, giving grads the opportunity to build credit history. To help you find the right mix of rewards, rates, fees and approval requirements for your needs, WalletHub’s editors compared more than 1,000 credit card offers and selected the best credit cards for graduates of all types. It’s important for recent high school and college graduates to begin building credit as soon as possible. And of all the financial products that help us build credit, credit cards are the most efficient. With a credit card, you have the opportunity to add positive information to your major credit reports on a monthly basis, often at little-to-no cost. Keep reading below to learn more about 2019’s best credit cards for graduates. You’ll also find 10 Money-Saving Tips for College Grads. show less The best credit cards for graduates have low annual fees and offer high approval odds to young, relatively inexperienced applicants. Credit cards for recent grads also report account information to the major credit bureaus each month, giving grads the opportunity to build credit history. A great deal depends on the circumstances, however. The best credit cards for college graduates are a bit different than the best cards for recent high school grads, for example (some cards are from WalletHub partners). Your options will also differ if you’re graduating from college with a blank slate or a few years of credit card experience, which could mean good or bad credit. (Initial Bonus) – Offers 1.5% cash back across all purchases (1.8% back on mobile wallet purchases for the first 12 months), in addition to a $200 initial bonus for spending $1,000 in the first three months. You also get 0% intro APR on new purchases for 12 months (16.24% - 28.24% Variable APR after). There is no annual fee. 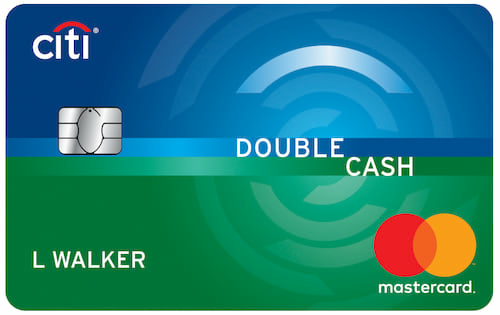 (Cash Back) – This card gives people who pay in full every month a great overall earning rate. You get 1% cash back across all purchases and another 1% cash back when you pay your monthly bill. It does not charge an annual fee. 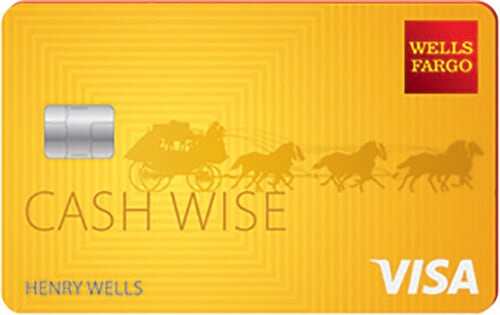 (Travel Rewards) – Wells Fargo Propel is a great everyday rewards card for grads with good credit who like to stay on the go. Propel has a $0 annual fee and gives 3 points per $1 spent in a range of bonus categories, which include travel, dining, gas and ridesharing, among others. 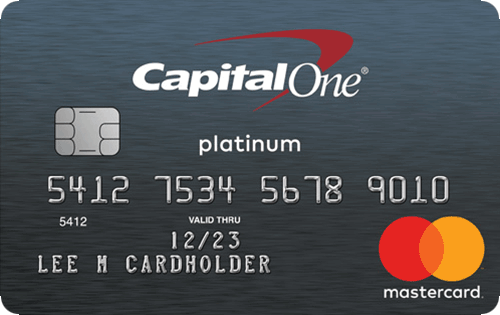 Cardholders earn 1 point per $1 on all other purchases. The Propel Card currently offers a pair of attractive initial rewards bonuses, too. New cardholders who make at least $3,000 in purchases within three months of opening an account get 30,000 bonus points. And spending $15,000 in the first year is good for another 20,000 bonus points. 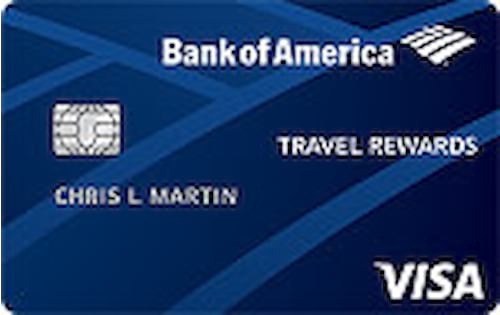 (Travel Rewards) – This student Bank of America credit card offers a 25,000-point initial bonus for spending $1,000 within 90 days of account opening, redeemable for $250 in travel expenses. It also provides 3 points for every $1 in purchases made through the Bank of America’s Travel Center as well as 1.5 points per $1 spent on all other purchases. 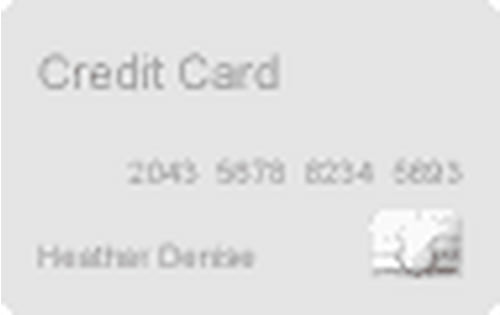 This card charges neither an annual fee nor a foreign transaction fee. 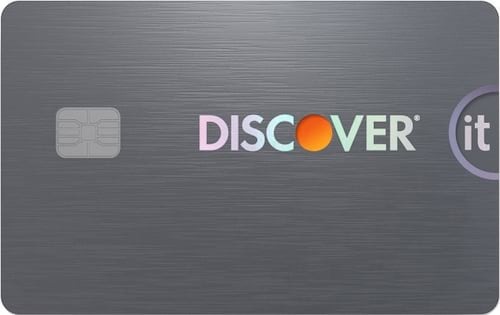 (Cash Back) – This card provides some big-time bonus rewards, giving 2% cash back up to $1,000 spent at gas stations and restaurants each quarter, 1% back on all other purchases, and an anniversary present that doubles your rewards earnings from the first 12 months. Discover it Chrome for Students also has a $0 annual fee. It offers an introductory APR of 0% for 6 months on new purchases, too. 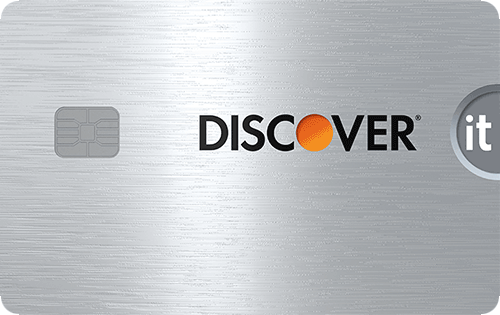 (Unsecured with No Annual Fee) – This card stands out because it doesn’t charge an annual fee and requires neither a security deposit nor established credit history for approval. But if you have any red marks on your credit file, you should probably opt for a secured card instead. 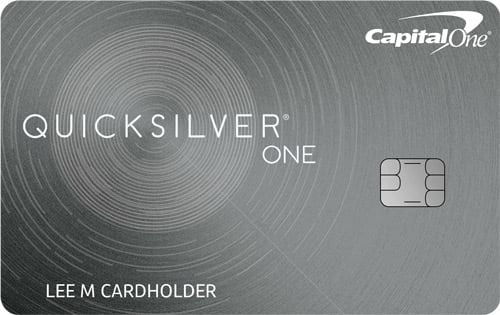 (Unsecured with Rewards) – Capital One QuicksilverOne is a great choice for recent grads with limited credit who plan to charge at least $217 per month to their new credit card. That’s because QuicksilverOne offers 1.5% cash back on all purchases but charges a $39 annual fee. You need to spend enough for the tradeoff to pay off. (Partially Secured) – This is a partially secured card, which means it’s possible to get a credit line in excess of your security deposit, depending on your credit standing and disposable income. It has no annual fee. (Secured) – This secured card, which requires a minimum security deposit of $200, stands out because it doesn’t charge an annual fee. But that’s not all. It also offers generous rewards: 2% cash back at restaurants and gas stations (up to $1,000 in combined purchases each quarter) and 1% cash back on everything else. Plus, all first-year earnings are doubled. Now that you have a better understanding of the credit card game, you may want to take another look at 2019’s top offers for recent graduates. For your convenience, we summarized some of their key terms below. Even with a specially curated selection of offers to choose from, finding the very best credit card for your needs can be tough. And getting the right card is just the beginning. You also have to use it responsibly, which isn’t always so easy in the face of real-world demands. Fortunately, we’ve got some pointers that will help you stay on the right path. Gauge the Market: You need a basis for comparison to truly understand a given credit card offer. Otherwise, it might as well be in another language. So make sure to check out WalletHub’s latest Credit Card Landscape Report before submitting an application. Get Your Priorities Straight: Cost-effective credit building should be a recent college graduate's top personal finance priority. So you should focus on cards that do not charge annual fees. Beyond that, look for rewards if you always pay your bill in full and 0% rates if you don’t. But remember, these come after low fees on the card-term totem pole. Celebrate #SchoolSpirit: Most colleges and universities have a co-branded credit card program, often offered through the school’s alumni association. In addition to promoting engagement with the university (thus boosting donations), such offers may provide good value and should at least be considered. For example, the Howard University Credit Card offers a 12-month 0% introductory APR. Automate Everything: Considering young people’s innate forgetfulness and how hectic starting a new chapter in life can be, it’s probably best not to rely on memory to meet important deadlines, such as due dates for monthly payments. Setting up automatic payments from a bank account will help you avoid wasting money on interest charges and late fees. It will also help you avoid costly credit score damage. And if you want to take things a step further, you can even set up alerts for when you’re approaching your credit limit. Maxing out a credit card is bad for your credit score, too. Save & Invest: Set yourself up to withstand future economic downturns by setting aside at least 10% of your monthly take-home pay. Your goal should be to establish a rainy-day fund with about a year’s worth of income, which you can fall back on in times of trouble. “As a young adult, it’s crucial to have at least a few thousand dollars in the bank to get you through the first few months after graduation,” said Andrew Josuweit, CEO of Student Loan Hero. It’s also important to begin saving for retirement as early as possible. This might mean putting money into an IRA, which could be helpful come tax time. Or it could involve contributing to an employer’s 401(k) plan, especially if your employer will match what you put in. Stashing cash in a retirement account removes the temptation to spend savings and allows you to benefit from years of compound interest. So even if your income is limited early on, you should still make a point of putting away as much as you can afford. You’ll thank yourself decades from now. Always Build Credit (ABC): It bears repeating just how important good credit is in the real world. After all, it affects everything from the credit card and loan terms you can get to your insurance premiums, job prospects, and ability to find either a place to live or a car to drive. With that being said, the earlier you begin building credit, the better (and the more you’ll save over the course of your lifetime). To that end, you can keep a close eye on your credit and get personalized tips for how to improve it by signing up for a free WalletHub account. WalletHub is the first and only site to offer free credit scores and full credit reports that are updated on a daily basis. Be Frugal: We don’t need everything we want. And the sooner you come to that realization, the less learning this lesson will have to cost you. So approach your money as a limited resource that must be allocated carefully. This will force you to prioritize, for one thing. And it will enable you to splurge a bit on the things you really care about, if you so choose, thanks to money saved by passing on unnecessary temptations. Comparison Shop for Grad School: Attending college is clearly a wise financial move. But being strategic about which school to attend, what to major in, and whether or not to pursue an advanced degree will help you maximize the return on your investment, not to mention minimize the burden of student loan debt. The best approach is to compare the cost of obtaining a given degree to the employment rates and salaries of alumni in the field. This will give you a sense of how long it will take to recoup what you spend. Relocate Opportunistically: Although it might be tempting to stay somewhere familiar, moving (at least temporarily) could be a great career move. Job prospects and living costs vary widely across the country, after all. Checking out the Best & Worst Cities for Wallet Wellness will give you an idea of which cities’ economies are growing and where average salaries go furthest. In other words, you probably have some catching up to do. So start learning the tenets of responsible money management as soon as possible. You can get a sense of where skills stand by taking our quiz and getting your WalletLiteracy Score. And doing so soon after graduation is especially important. “The biggest financial impact and habits can be made in the first few years after graduation,” said Gregory A. Kuhlemeyer, a professor of business at Carroll University. Finally, it’s worth noting that there’s a difference between getting a credit card after graduating from school and graduating to a better credit score, plus even more attractive credit card offers. In other words, you need to use your card responsibly if you want to take advantage of this opportunity. But a lot can go wrong. So to help you avoid the biggest pitfalls, we polled a panel of experts about the most common credit card mistakes that recent graduates make. - Shawn Cavalli // Vice President of Marketing, Magnelab, Inc.
- Erik Carter // Resident Financial Planner, Financial Finesse, Inc.
"One of the lessons I try to impart to students in my classes is that the details are a gateway to greater enjoyment. In this area – financial management – it means that the details are a gateway to having more money." 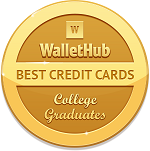 To identify the best credit cards for graduates, WalletHub’s editors compared 1,000+ credit card offers based on their rewards, rates, fees and credit score requirements for graduates. In general, we focused on the terms that are most relevant to each type of transaction. For example, in choosing the best card for an initial rewards bonus, we concentrated on the bonus amount (in dollar terms), the amount a cardholder must spend to qualify for it, and the card’s annual fee. Additional information about the criteria used to select cards in other categories can be found below. In selecting the cards with the best rewards for graduates with good credit, we considered how much someone who pays his or her bills in full every month would save, taking into account the card’s annual fee. We used the average American’s $28,523 in annual expenditures that can be paid for with a credit card as a benchmark. In selecting the best travel rewards, we considered the student credit cards which offer the highest value per redeemable points towards travel, the card’s annual fee and the foreign transaction fee. In selecting the best credit cards for 0% financing, we identified the student cards with the longest 0% introductory periods and used their regular APRs as a tiebreaker. Selections for the best credit cards for graduates with no .EDU email or credit missteps are based on the security deposit required and the annual fee. Some cards may come from WalletHub advertising partners, but advertising status played absolutely no role in the selection process. Cards were picked for their terms alone. Our editors' recommendations for the Best Credit Cards for Recent College Graduates are a reflection of their own subjective opinions, and they should not be relied upon as the sole basis for choosing your financial product.